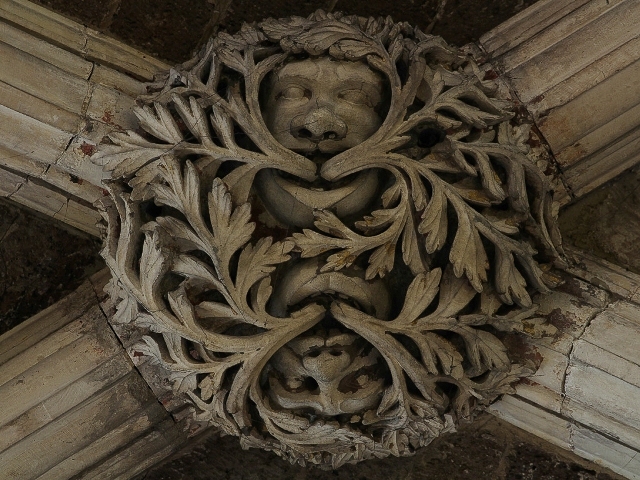 These wonderful green men can be found in Exeter Cathedral. My thanks to Jennie Miller and Gary Truss for allowing me to reproduce their photographs. Exeter Cathedral was founded in 1050, when the seat of the Bishop of Devon and Cornwall was transferred from Crediton because of concern about sea-raids. Its official foundation was in 1133, but it took many more years to complete. Following the appointment of Walter Bronescombe as bishop in 1258, the building was already recognized as outmoded, and it was rebuilt in the Decorated Gothic style following the example of nearby Salisbury Cathedral. Much of the original Norman building was kept, including the two massive square towers and part of the walls. Exeter Cathedral was constructed entirely of local stone, including Purbeck Marble. The new cathedral was complete by about 1400. Exeter Cathedral suffered during the Dissolution of the Monasteries, but not as much as it would have done if it had been a monastic foundation. 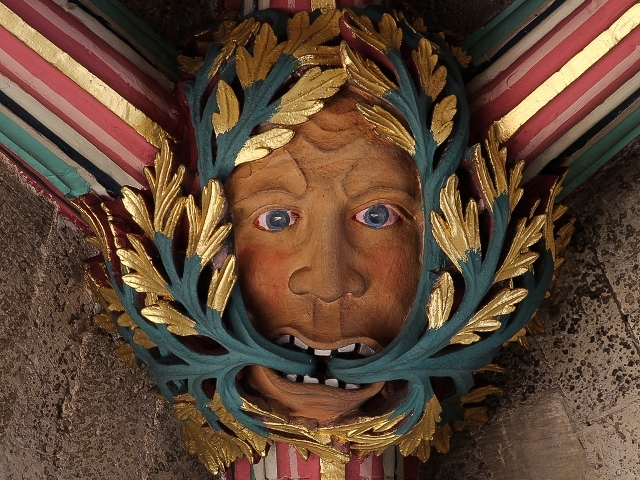 Further damage was done during the English Civil War, when the cloisters were destroyed. On 4 May 1942 the cathedral suffered a direct hit during an early morning air raid when the chapel of St James was completely demolished along with the muniment room (used for keeping records) above. Three bays of the aisle and two flying buttresses were also destroyed in the blast. The medieval wooden screen opposite the chapel was smashed into many pieces by the blast, but it has since been reconstructed and restored. Subsequent repairs and the clearance of the area around the western end of the building uncovered portions of earlier structures, including remains of the Roman city and of the original Norman cathedral. 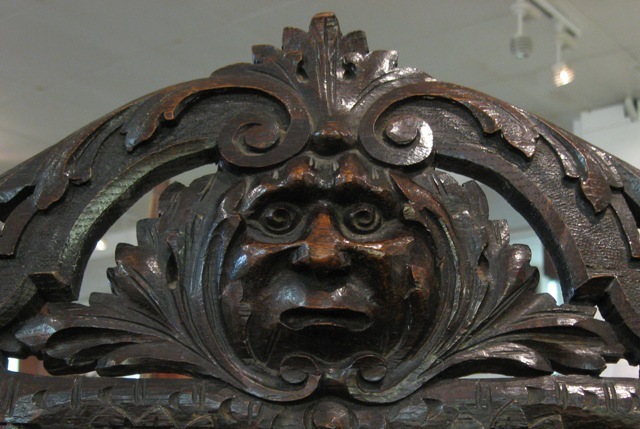 After many years of searching I finally found a green man on the Scilly Isles last year. I would love to know if anyone finds any more. Location: Captains chair taken from the Minnehaha which was grounded on Scilly Rock in 1910. The Minnehaha was built by Harland and Wolff and launched in 1900. On 18 April 1910 the liner grounded on rocks on Bryher in the Isles of Scilly while en route from London to New York. She remained stranded until 13 May when two tugs managed to pull her off the rocks. The cattle on board were saved by swimming them onto the island of Samson. In 1917 the Minnehaha sank within four minutes after being torpedoed by German U-boat U-48, with 43 fatalities off the Fastnet.